Disabling auto brightness on iPhones running on iOS 11 seems almost impossible. Even if you manually adjust the brightness via the slider in the control center, the screen brightness will still automatically change whenever the environmental condition changes. 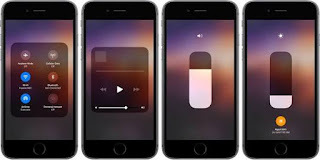 The iOS 11 however still has the option to completely turn off auto brightness just like you have it on iOS 10 and older iOS versions, the only difference here is the option is now hidden in the menus and not in the control center. Below is a simple guide on how to turn off auto brightness on your iPhones running on iOS 11. >> Now toggle Auto-Brightness off (The green should turn gray). If you have any question to ask, feel free to drop it in the comment section below and don't forget to kindly share this post on your various social media platforms.